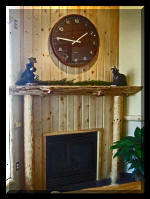 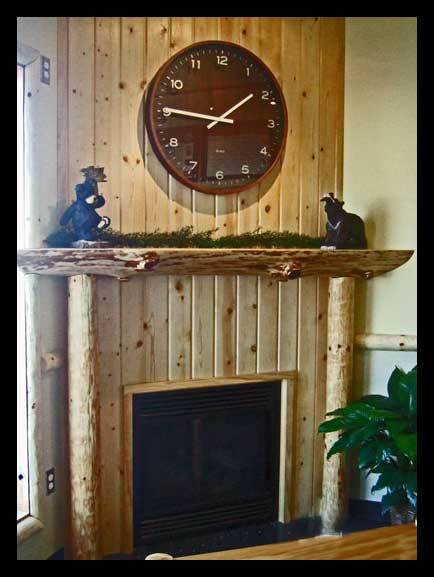 A lodge looking coffee house with a fireplace and log mantel sitting upon log pillar accents. 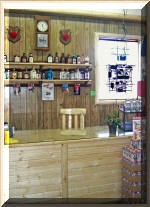 All tables were prepared with a glass-look surface. 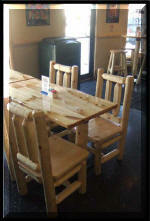 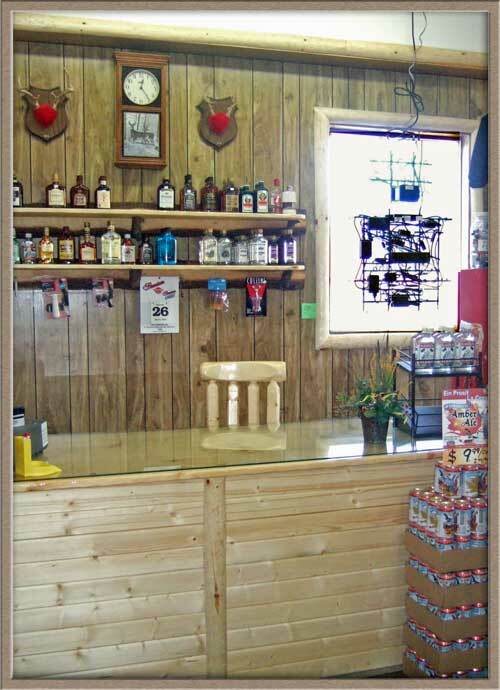 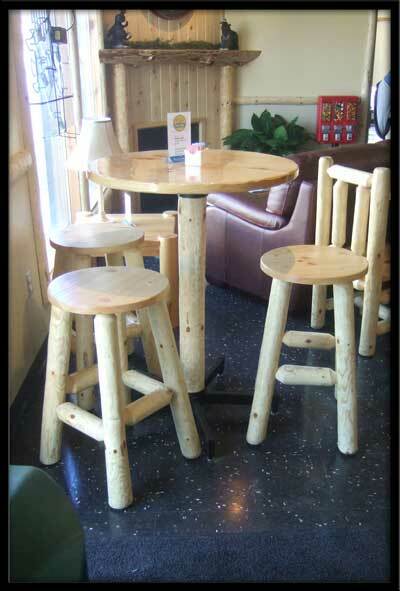 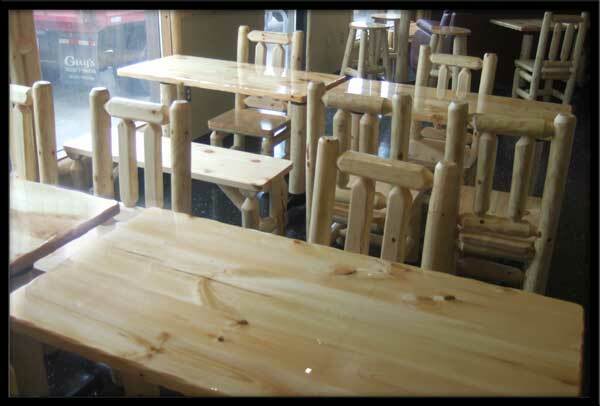 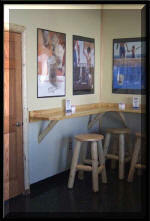 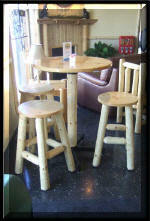 Chairs, bench seats, stools, tall bar tables and log trim are all products of American Land and Log. 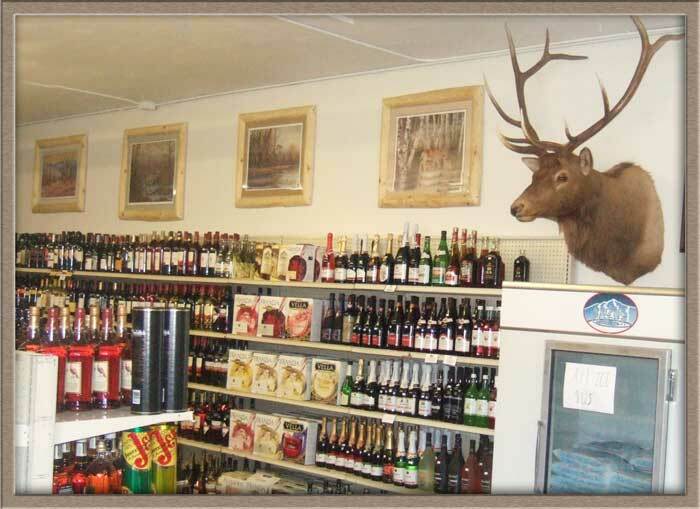 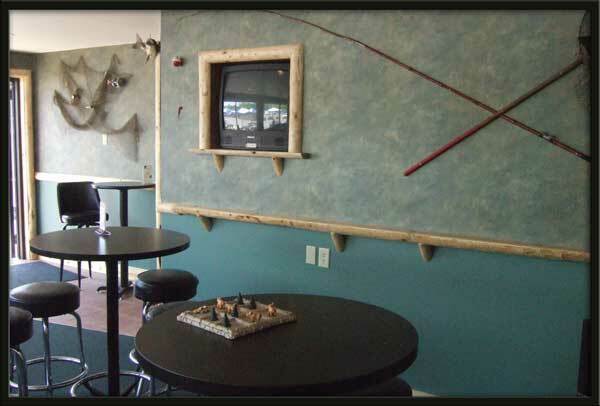 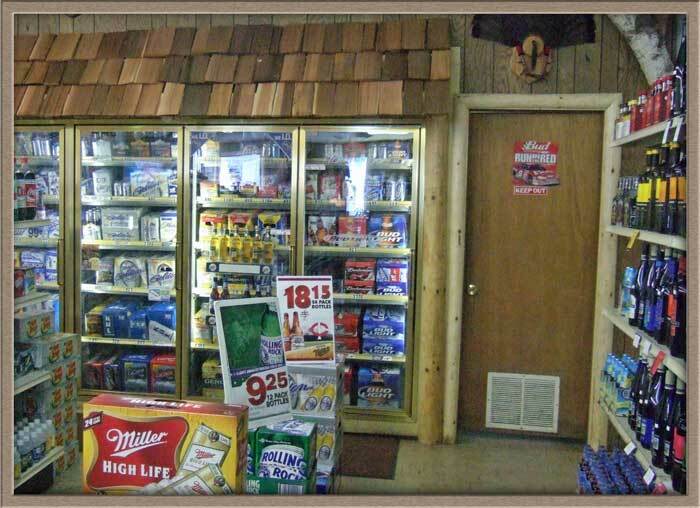 Located on the beautiful Mississippi River on Hwy 14/61 between La Crosse, Wisconsin and La Crescent, Minnesota. 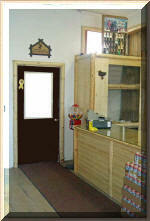 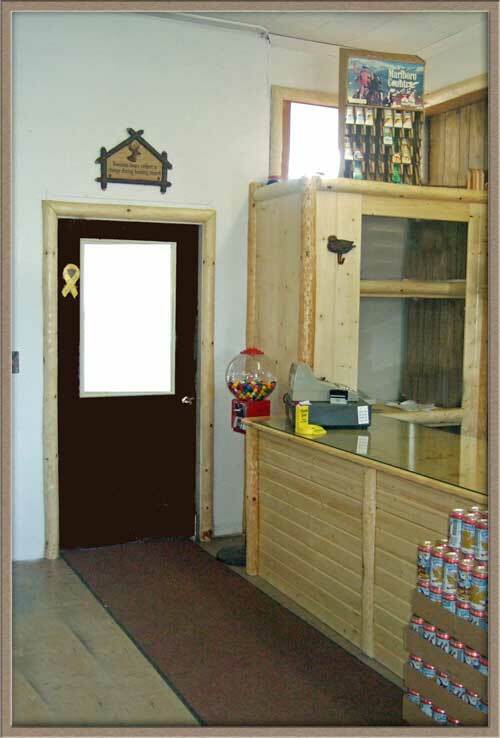 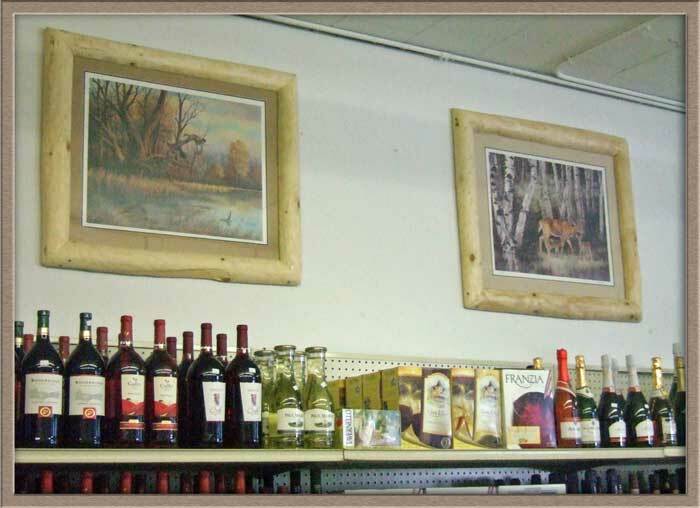 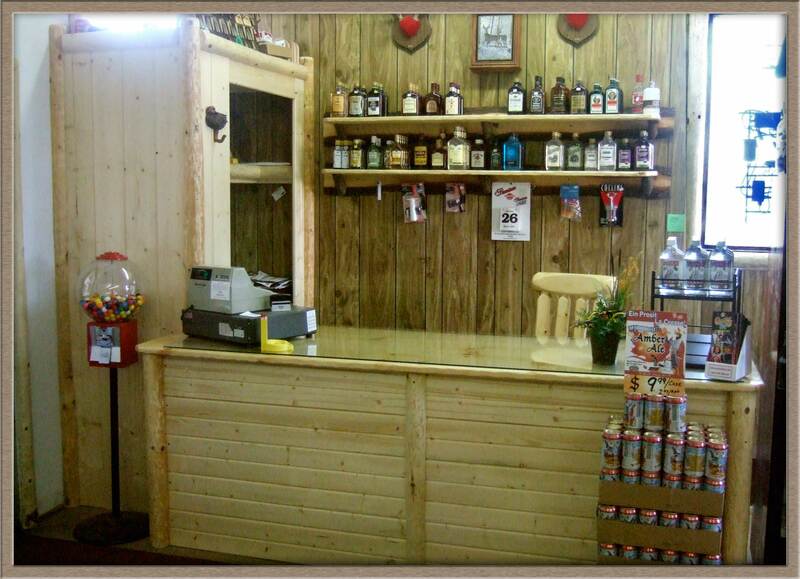 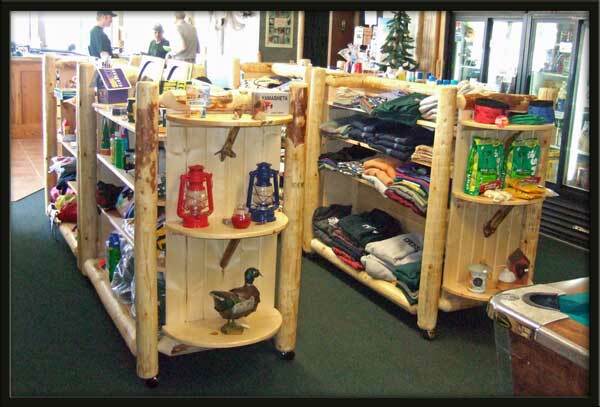 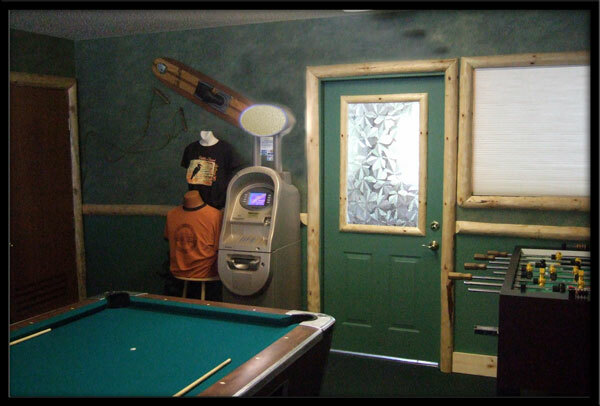 Log door trim and frame accents, and custom built display shelves add to the outdoor theme. 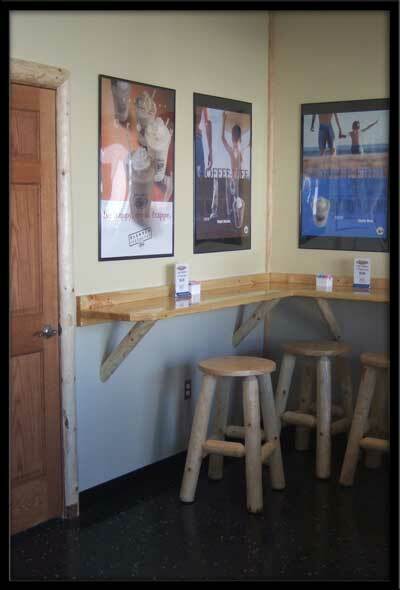 ©2014 American Land and Log. All rights reserved.